My Envy Box Turns 3!! 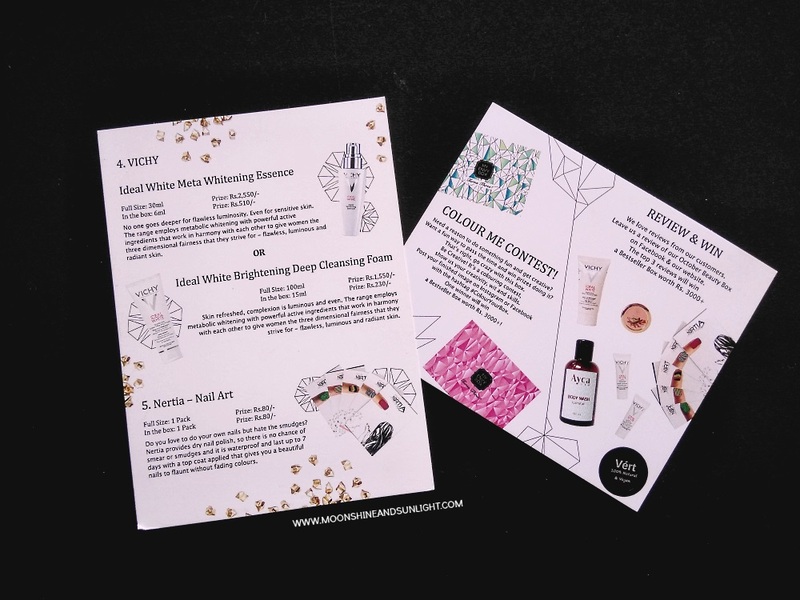 Yep, they have been doing an awesome job for 3 whole years and they are celebrating the same with the October 2016 My Envy Box! Usually the boxes themselves have become a work of art (Checkout the September and August box for an example! ), but this time they have a contest revolving around the work of art of their subscribers! Confused? Take a look at the white box with all the geometric outlines; that is your canvas and your ticket to enter the contest and win awesome prizes. Since adult coloring books are all the rage right now, I think this box fits right in with the trend. This product is half the size of the full size product and I would say it is pretty great! Really looking forward to try this! I have already used this once and it smells beautiful. This is again a half size (does it make sense?) product. I really look forward to trying this brand. 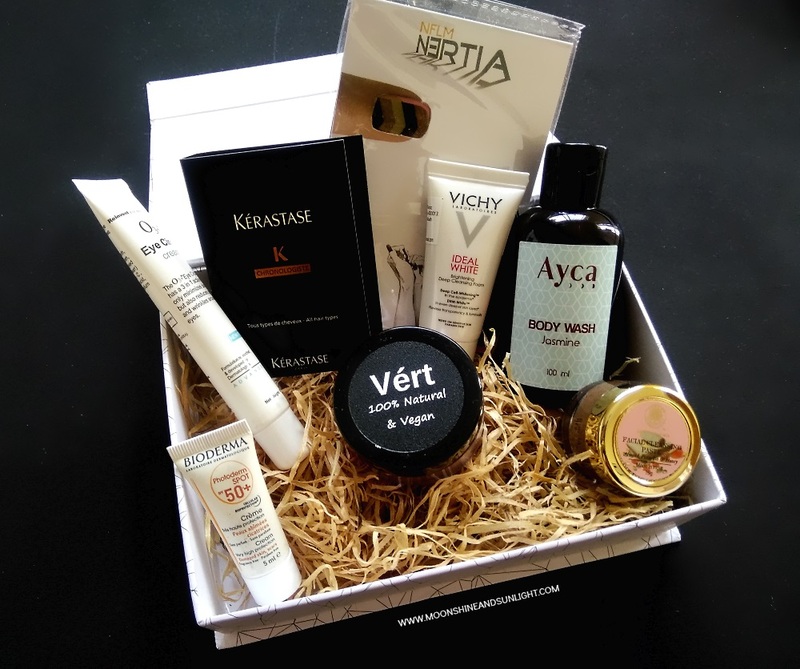 Vert claims to be a brand which offers vegan and 100% natural products. The loose powder I received is in a rosy pink color and it can be used as an eyeshadow, a highlighter or a blush! I love products that can be used in multiple ways! A face wash which I can carry around? I would take that happily! Plus I like Vichy products. I am really looking forward to trying this sticker nail art. You know I love my nails all jazzy! This is under the bonus three products which they are sending across this month to everyone! I have this already and quite like it! Now I have got a backup! I have always wanted to give the bioderma sunscreen a try but didn’t really get around to buying one! Now let’s see how it works on me! A small vial of the product would be enough to see how it works, but would have love if they had a slightly bigger sample! But anyway, since they have so many products already, I am happy with this itself! The price of all the products come down to waaaaaaaay more than the price of the box itself! And I like the fact that they have a very good mix of skincare, makeup, hair and bath products. I would highly recommend you to get this box, especially if you want the loose powder and the nail art sticker! Congratulations to the My Envy Box team for completing glorious 3 years, wish you many more successful years! 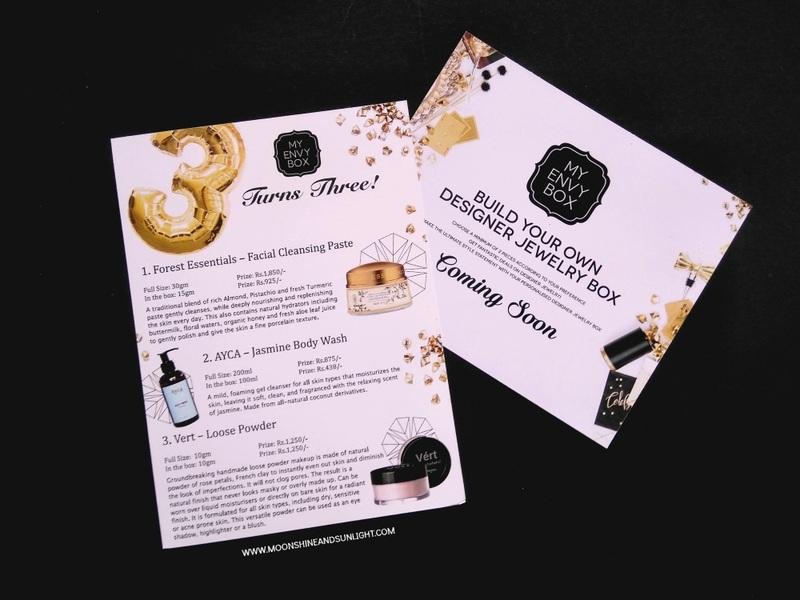 Let me know which product got your interest the most and what you think about the box! Also, don’t forget to connect with me via Twitter, Instagram and Facebook! 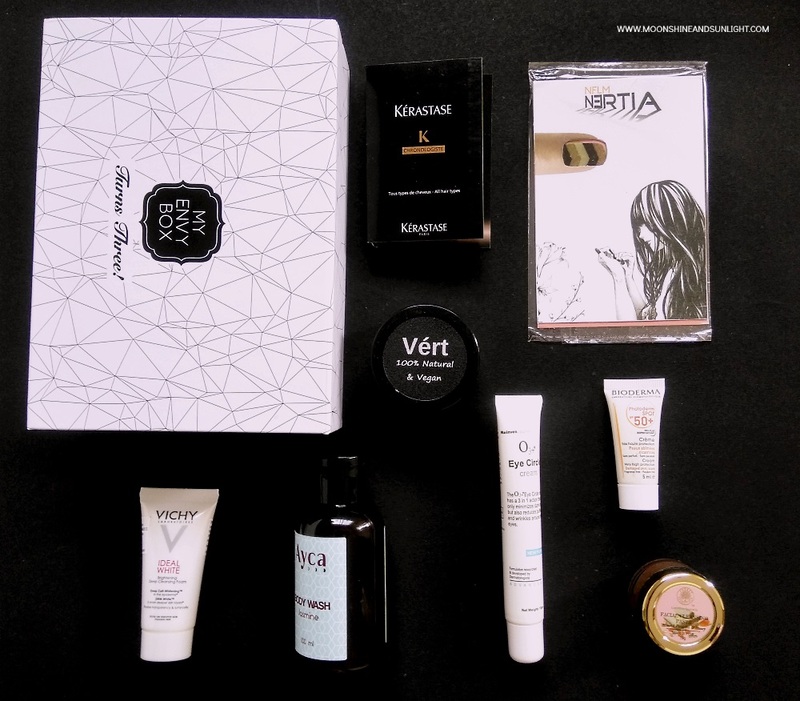 Looks great :) Mix of skincare and makeup! yes, That's what I love the most! The FE cleansing paste looks quite nice. Yeah, Even I am excited to find out! I have always loved Envy box and this ones beautiful! what a pretty box this one is!